Our practitioners are focused on everyone’s opportunity to live a better life. We are committed to guiding you on the journey from a place of pain or dysfunction to a fully functioning healthy individual. Working with both the physical and mental body we can assist you in achieving goals that might might range from running a marathon, hiking across a desert or climbing a mountain, to simply playing with your children or grandchildren. Our promise to the community is that we will never give up on any person who comes in contact with our brand. Melbourne Osteopathy Sports Injury Centre always strives to be the very best in our field and to help you on your journey. Remember that ‘a healthier life for all’ is for all of you. I recently had a chat with a member of the Melbourne Osteopathy Sports Injury Centre community, 32-year old Daniel Kelly. Dan is a Real Estate agent who is as focused and tenacious about his work as he is about the sport of triathlon, which he discovered just a few years ago. Dan has a great positive attitude in life and has taught us some incredibly valuable lessons here at MOSIC. I would like to share some of Dan’s wisdom. 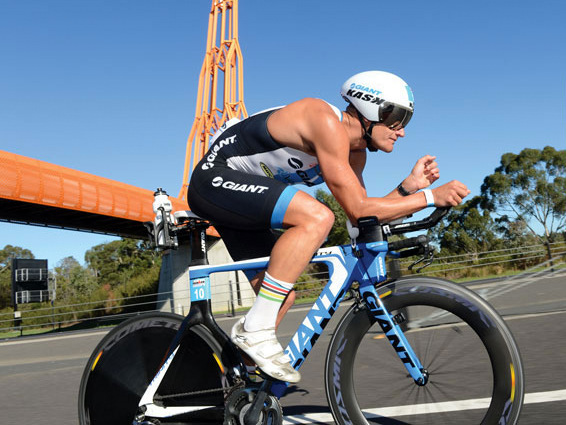 Dan commenced triathlon with one of the largest beginner organisations in Australia and now trains and races for a new triathlon coaching team, Clayton Fettell Racing. The benefits that our patients experience through being involved in various communities can not be understated. “I enjoyed following my coaches and seeing my training buddies develop. They’re all different ages and from different backgrounds. It’s a wonderful thing being involved in such a diverse community”. Motivation is all around you in the sport of triathlon. Understanding where others have come from and the improvements they have made to get where they are now can be spine-tingling. Often you come across someone who has shown incredible character in getting through a tough period of their life, who go on to achieve incredible things….and in the process change other people’s lives around them too. The majority of people seem to approach training and races fairly casually and just appreciate that they have found something which provides so much enjoyment and satisfaction. Outsiders might say that you’re obsessed or addicted to triathlon, but it really isn’t a one dimensional hobby. Dan has been plagued by a few injuries since his 20’s, mostly related to his time Rowing in his late teens. These are predominantly lower back, referred sciatic nerve pain down the legs and other core strength related issues. His early experiences with triathlon in conjunction with regular Osteopathy treatment has eliminated the pain and discomfort that he once thought would be with him for life. Being consistent with any training is the key to improvement. Sometimes getting minor niggles sorted out early can help keep you involved in your sport without long breaks due to injury. Dan tells us that his ability to get the most out of triathlon “is not achievable without the guidance of a coach and Osteopath.” And Dan’s secrets to success? Want some advice on getting involved? Get in contact with the team at Clayton Fettell Racing. They are extremely knowledgeable and run a top-notch triathlon program aimed at educating athletes of all levels. Dr Brendan O’Loughlin is an experienced Osteopath at Melbourne Osteopathy Sports Injury Centre. He is a competitive triathlete and has fantastic experience treating all sorts of sporting injuries.